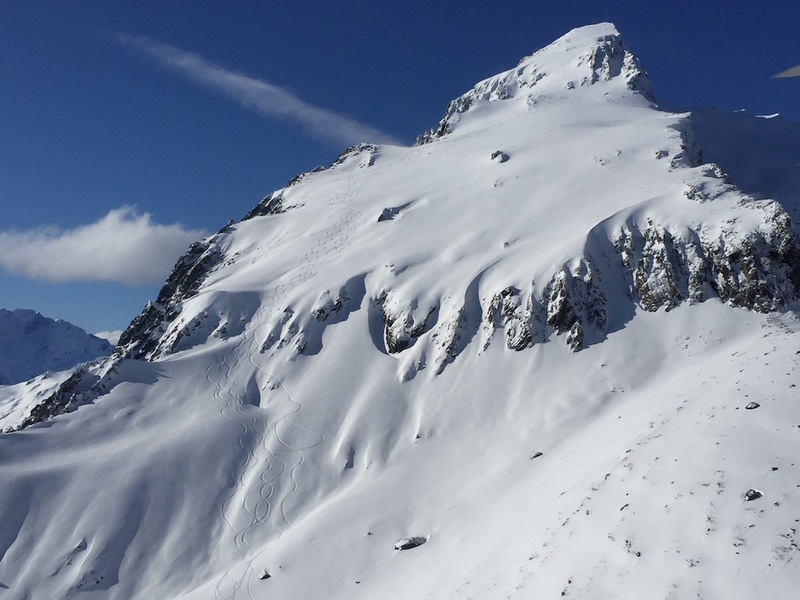 2015 NZ heli-ski season best in 10 years! As the winter winds down in Wanaka, New Zealand we look back at one of the best winters that NZ has seen in a decade. Great snow, deep powder, stable conditions and exploring runs that I hadn’t skied in years. Here is a photo of the south west face of Mt Repulse. Can you see the ski tracks from the top?